The Praying For You Card features a peaceful picture of a silhouetted lighthouse. A beautiful and calming greeting card for those caught in an emotional storm. 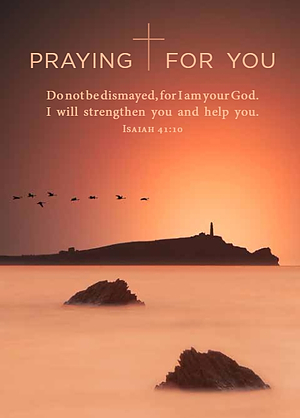 Praying For You Single Card is published by Teal and is our 1426th best seller. The ISBN for Praying For You Single Card is ED51229A. Be the first to review Praying For You Single Card! Got a question? No problem! Just click here to ask us about Praying For You Single Card.